What is the link between digital technology and the health and social care workforce? Digital technology has become a part of our everyday lives. It is becoming common place to video call overseas relatives, ask a virtual assistant for a weather update, and watch the latest episode of your favourite TV show all from the comfort of your own bed. Unfortunately, amongst this rapid digital transformation of our everyday lives, the NHS has been left behind. Dr Eric Topol, who led for the Topol Review published earlier this year, has said that in some areas the NHS is 10 years behind. Technology can and does save lives but with the latest digital innovation, the NHS can be empowered to improve. This link is recognised by the Secretary of State for Health and Social Care, Matt Hancock MP, who recently announced the new NHSX. This will bring together industry and the NHS to help clinicians diagnose diseases earlier and empower patients to take greater control of their own healthcare. 90% of NHS jobs will require digital skills within 20 years so we need an adaptable digital-savvy workforce that can navigate technologies that have not yet been invented and health problems that currently do not exist. What are some of the challenges as far as integrating digital technology into the NHS workforce? I think one of the real challenges is for clinical front-line staff to understand what digital resources are available to them and to patients that can enable more time for care. Over 90% of the population regularly uses the internet everyday but less than 25% of people have registered to numerous applications that enable individuals to access online a GP. This shows that there is a disconnect between people using digital technology and using digital technology for one’s own health. 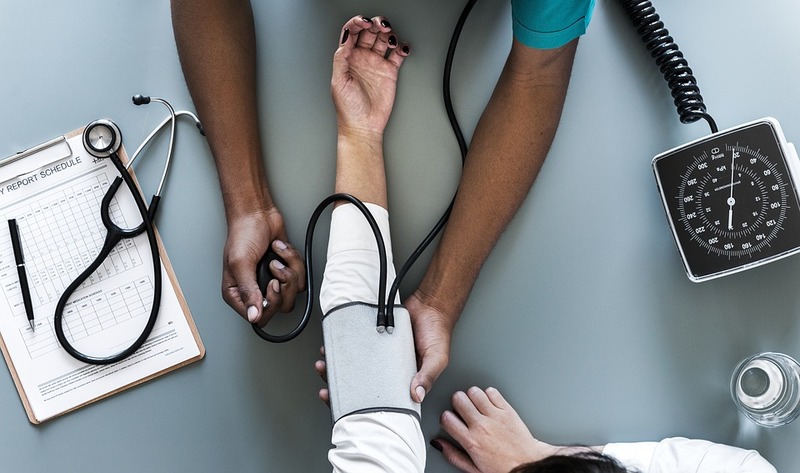 Worryingly, the majority of the NHS workforce is self-taught in the use of digital technology, meaning that there isn’t enough understanding about how to use resources available. This highlights the importance of developing the digital literacy of the existing healthcare workforce as well as introducing it to those starting their careers in the NHS. Lastly, the challenges the NHS has faced delivering big digital transformation projects in the past, like the NHS National Programme for IT which cost the taxpayer over £12bn, have led to mistrust in and reluctance to adopt new technology. There needs to be a change in culture to overcome this aversion to digital innovation. What is the NHS doing to overcome these challenges? The purpose of the roundtable was to discuss how policy levers like the Topol Review, commissioned by Jeremy Hunt in 2017, and the Social Care Digital Innovation Programme can help to realise the vision of a digitally-enabled workforce. The Social Care Digital Innovation Programme, commissioned by NHS Digital and managed by the Local Government Association, has funded 31 local authorities to provide digital solutions to social care challenges over the last two years. NHS organisations and Local authorities must use these two policy levers to inform their workforce plans for the coming years. Are there any examples of innovative programmes aimed at integrating digital technology with the health and social care workforce? One of the innovative pilot programmes funded through the Social Care Digital Innovation Programme is Nottinghamshire County Council shared comprehensive record system to allow social care staff access to real time acute, mental health, primary and community health information. This saves 5% of social workers’ time as well as preventing patients from repeating stories that they’ve told health workers. Another example of a pilot programme is one being rolled out by Essex County Council where video calls are becoming part of reablement care packages and the council projects 40% reduction in physical visits projected for service users. Both of these serve as salient examples which clearly highlight the potential of innovation in transforming the NHS for the better. Rahim Daya is a Programme Manager at DragonGate Market Intelligence and Breaking Barriers Innovations. 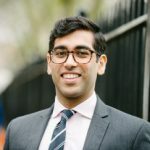 Since joining in 2018, he has provided research support and direction on a range of market intelligence projects across the NHS and Whitehall relocation. Ongoing DragonGate research has established that 2018-19 will be a high watermark for Local Government property transformation, with approximately 70 projects due to be completed over the next 24 months. However, with adjacent sectors such as the NHS, Higher Education and Central Government implementing similar programmes for property transformation there is little evidence that opportunities for place-based collaboration are truly being embraced. Will small ever be beautiful for post-Brexit government procurement? Metaphorically putting civil service goldfish into tanks (outside of the London goldfish bowl) would allow a less rounded, more real understanding of the impact of national policy decisions at the grass roots. © 2017 DragonGate. All Rights Reserved.